Transporting us to a generation where paperbacks and hardcovers ruled the earth, we find the enchanting world of books. Taking you on a voyage into the mind, one of the world's best-loved fictional characters has been brought to life. 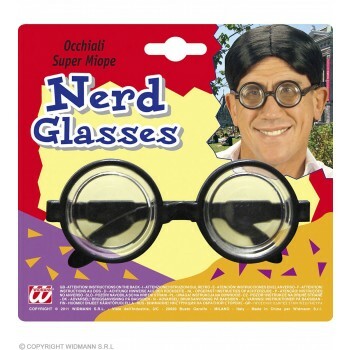 Here at ladies wally fancy dress ideas, discover the outfit that launched thousands of fans across the world. Where’s Wally is the ultimate interactive reading experience for all ages. 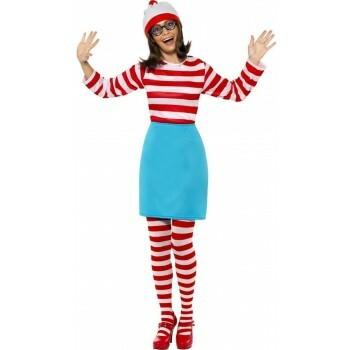 Bring that joy to life with a Wally costume that will fulfill all ladies wally fancy dress ideas. 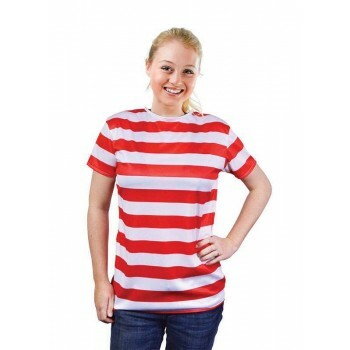 The Where’s Wally female fancy dress costume consists of the trademark red and white horizontal stripes worn by Wally. 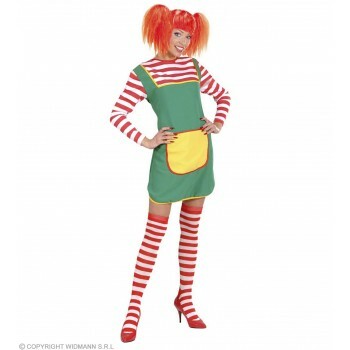 Skirt or skirt overall combinations are available to bring a feminine touch to the Wally character. Take special notes of the amazing Wally tights- bold stripes turn your legs into more than just candy canes, you can have striped Wally legs too.